Be patient. The first time we started a coconut from seed it took 9 nine months to sprout. It is common for many palms to take many months to sprout. Don't over water as you'll rot them out. Your king coconut will first split its husk at the bottom and send down some roots. 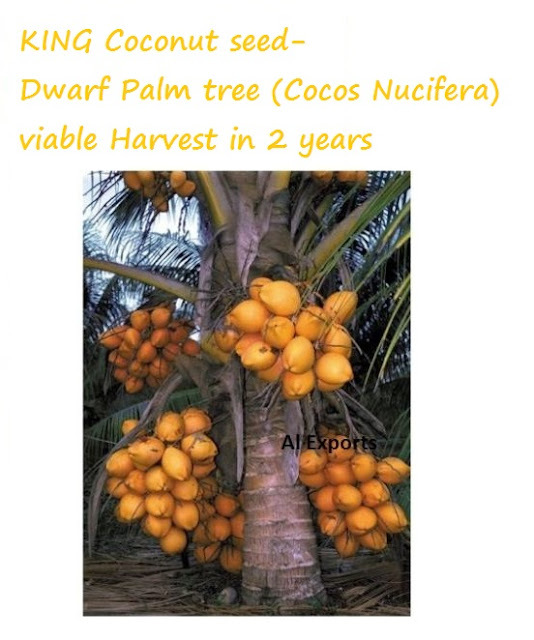 It may take several months before your king coconut also splits the top of the husk pushing up its first fronds. In other words, your coconut will be growing and you won't even know it until it splits the top. 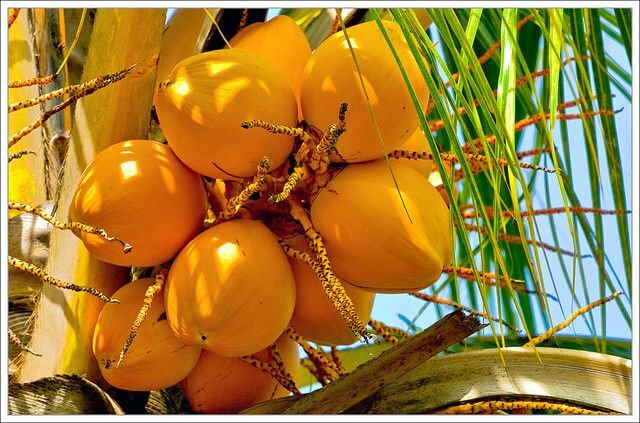 After your king coconut spouts, your king coconut can live in your 3-gallon pot for about 3-6 months. After that, plant it out or in another larger pot or directly into the soil. Incorporate lots of manure. Fertilize properly starting after sprouting 3 fronds. IMPORTANT: Some goods will not allow to import to some countries or some states in U.S.A. If the customs do random check and find some prohibit items they may be destroy or return items. For example if they find some seeds they will destroy and send only blank envelop to the customer. 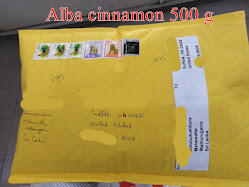 In this case the clients are unable to claim refund because we've already sent the goods. So please check your custom details before ordering otherwise we will not take any responsible.